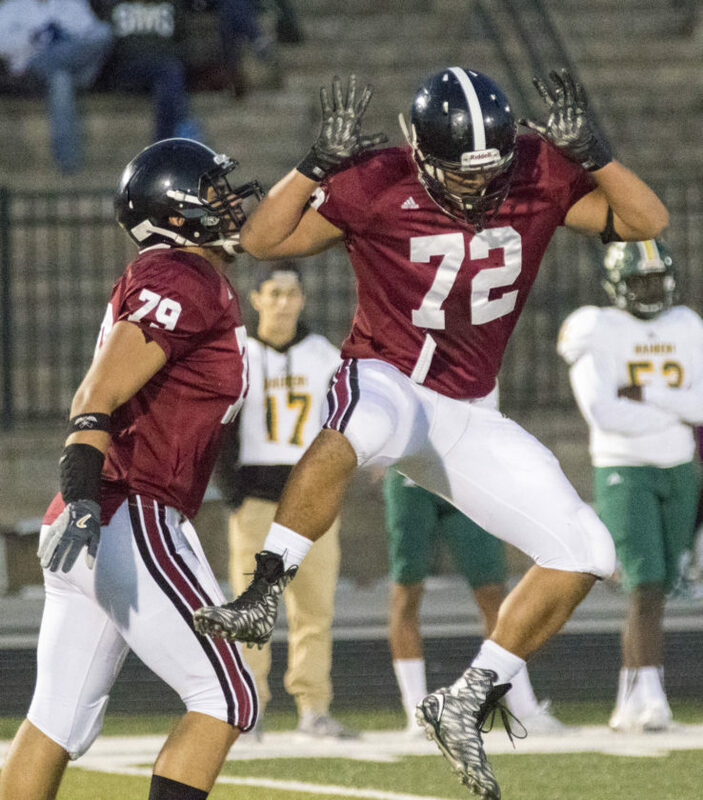 Lawrence High seniors Amani Bledsoe (72) and Trey Georgie (79) celebrate a tackle for a loss during their game against Shawnee Mission South Friday night at LHS. The Lions won, 42-6, and improved their record to 5-0 on the season. 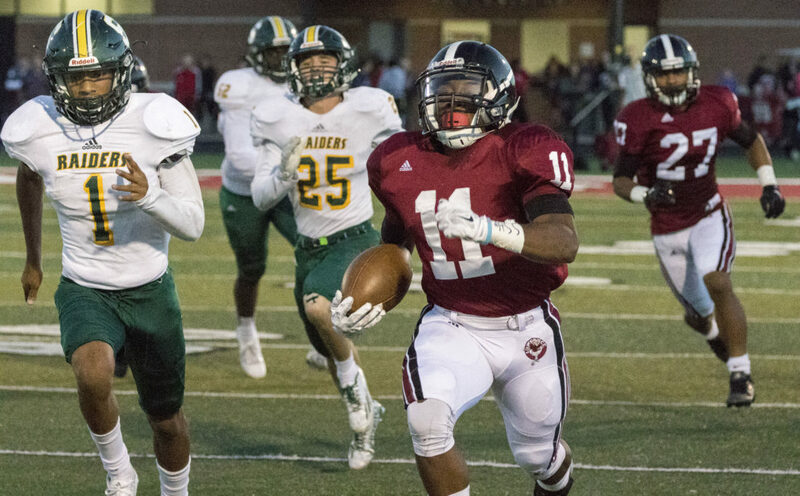 The Lawrence High sideline watches senior running back JD Woods (11) break free from Shawnee Mission South junior defensive back Cam Union (1) during their game Friday night at LHS. The Lions won, 42-6, and improved their record to 5-0 on the season. 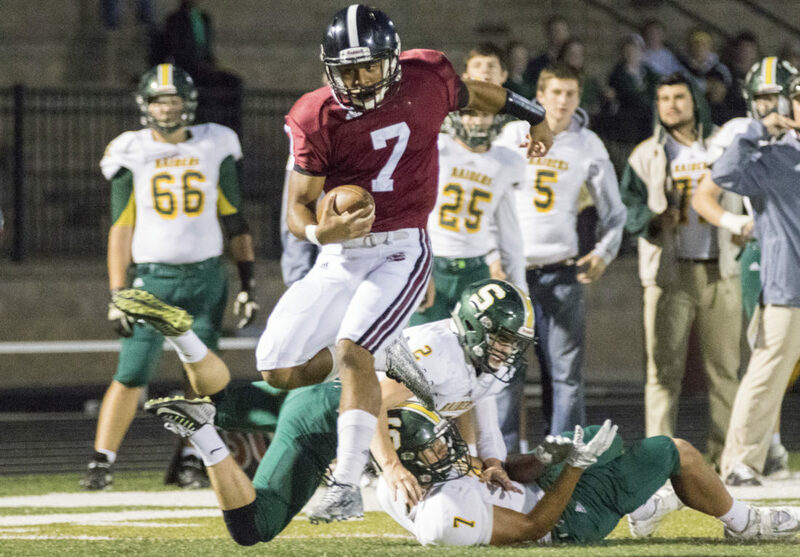 Lawrence High senior quarterback Alan Clothier (7) leaps out of a tackle attempt by Shawnee Mission South's Zach McQueen (2) and Kyhiem Matthews (7) during their game Friday night at LHS. The Lions won, 42-6, and improved their record to 5-0 on the season. 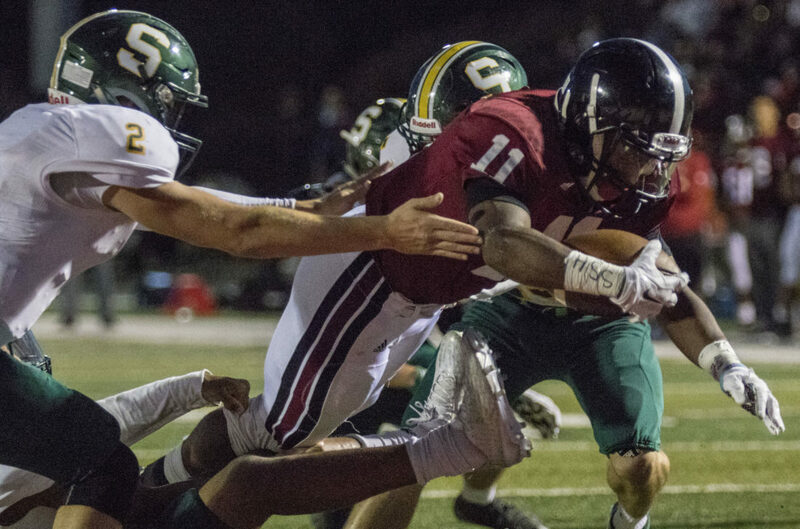 Lawrence High senior running back JD Woods (11) lunges forward past Shawnee Mission South senior linebacker Zach McQueen (2) and into the end zone for a touchdown during their game Friday night at LHS. The Lions won, 42-6, and improved their record to 5-0 on the season. 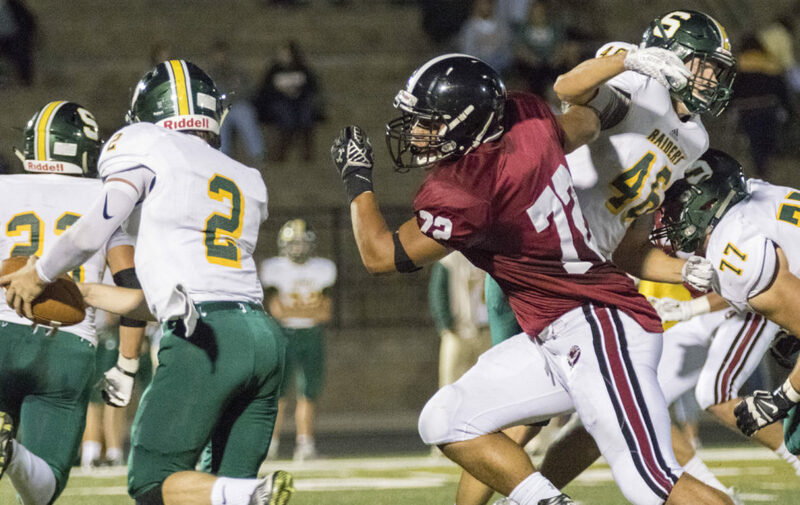 Lawrence High senior defensive lineman Amani Bledsoe (72) pushes his way past Shawnee Mission South junior Michael Carter (46) as he heads for quarterback Zach McQueen (2) during their game Friday night at LHS. The Lions won, 42-6, and improved their record to 5-0 on the season. 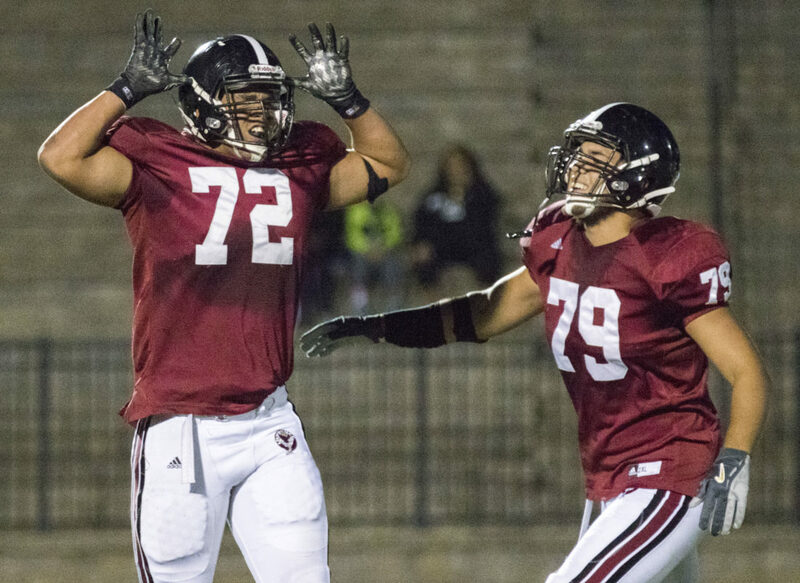 Lawrence High senior defensive linemen Amani Bledsoe (72) and Trey Georgie (79) celebrate a tackle for a loss during their game against Shawnee Mission South Friday night at LHS. The Lions won, 42-6, and improved their record to 5-0 on the season. 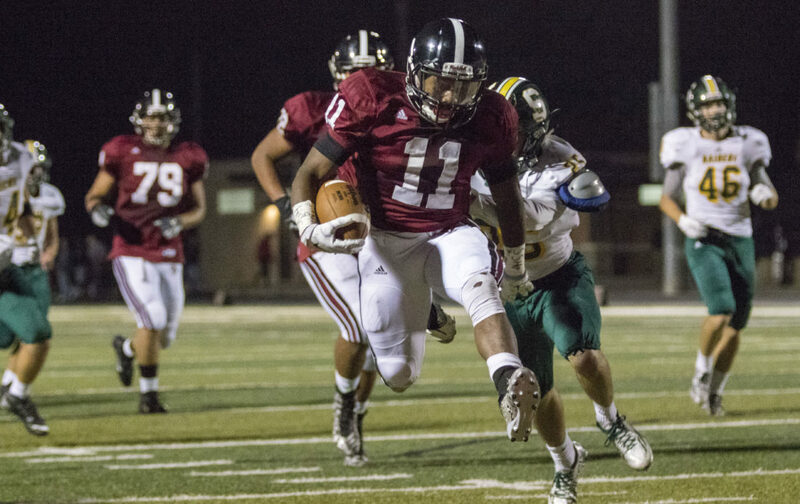 Lawrence High senior running back JD Woods takes off after breaking through the Shawnee Mission South defense during their game Friday night at LHS. The Lions won, 42-6, and improved their record to 5-0 on the season. 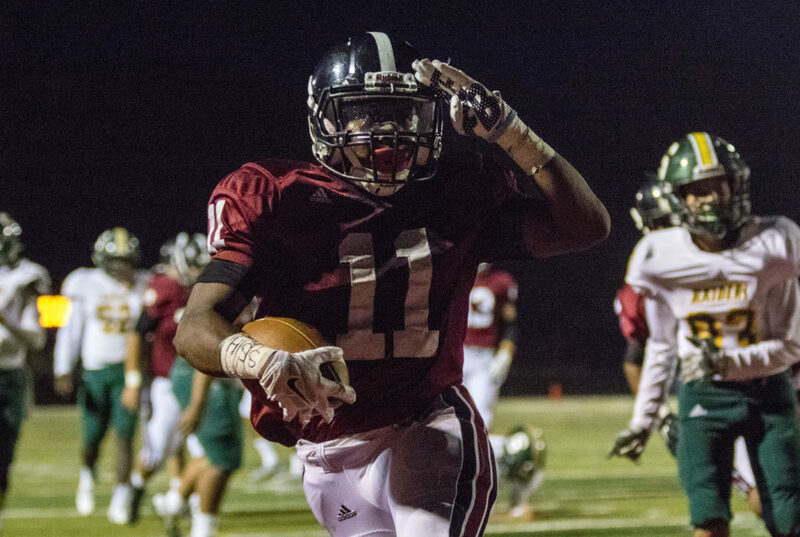 Lawrence High senior running back JD Woods gives a salute after running the ball into the end zone during their game against Shawnee Mission South Friday night at LHS. 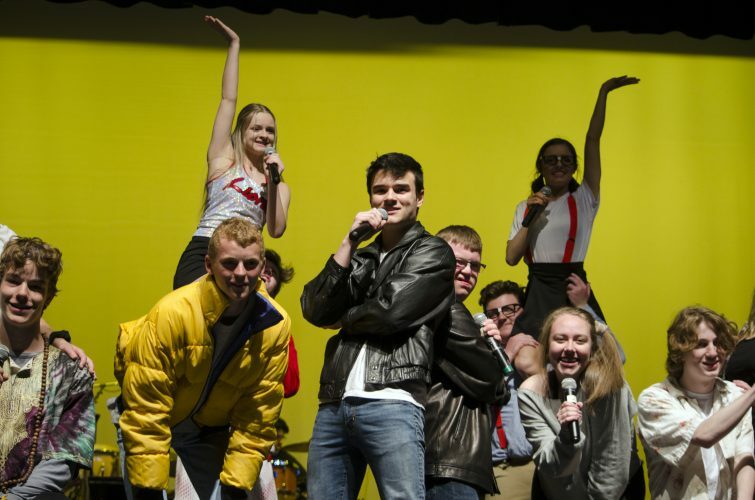 Although the play was called back on a holding penalty against the Lions, they scored a touchdown two players later on a run by senior quarterback Alan Clothier. The Lions won, 42-6, and improved their record to 5-0 on the season. 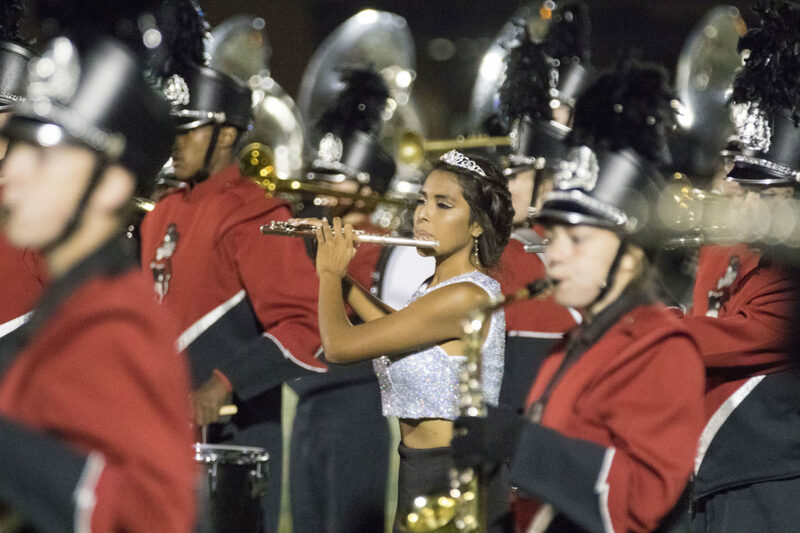 One of the homecoming queen finalists, senior Shaye White, joined the band during halftime of Lawrence High's game against Shawnee Mission South Friday night at LHS. The Lions won, 42-6, and improved their record to 5-0 on the season. 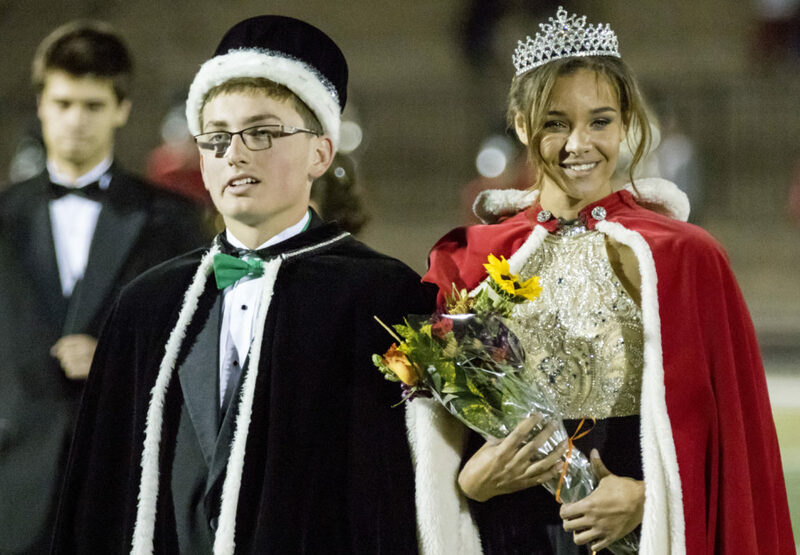 Lawrence High School homecoming queen Kennedi Wright-Conklin, right, and Colton Lovelace, left, standing in for homecoming king Ivan Hollins, a football player, are honored at halftime of the Lions' game against Shawnee Mission South, Friday, Oct. 2, 2015. 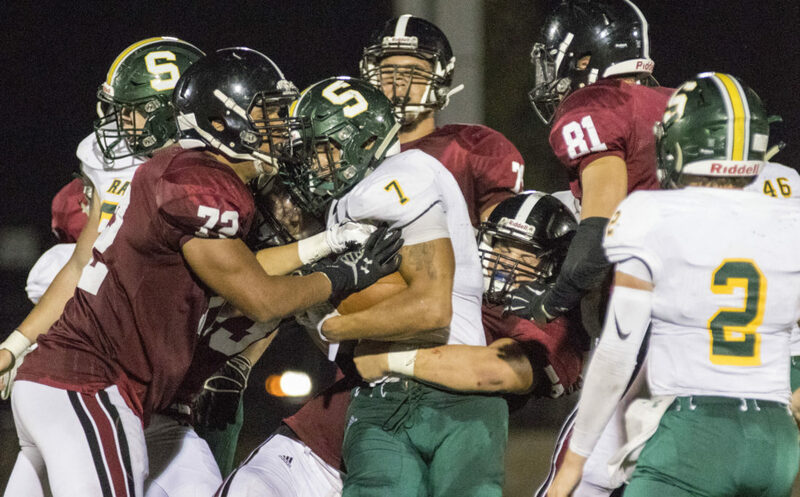 A group of Lawrence High defenders led by senior defensive lineman Amani Bledsoe (72) bring down Shawnee Mission South senior Kyhiem Matthews (7) for a loss during their game Friday night at LHS. The Lions won, 42-6, and improved their record to 5-0 on the season. 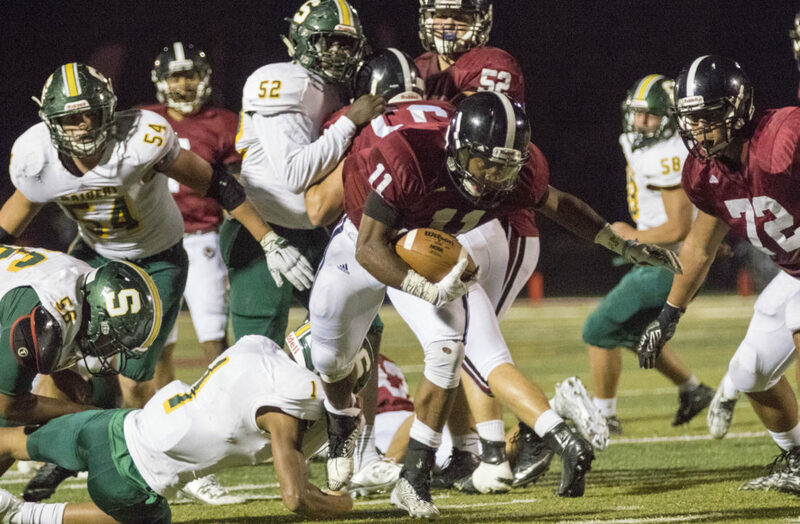 Lawrence High senior running back JD Woods (11) slips through a tackle attempt by Shawnee Mission South junior defensive back Cam Union (1) during their game Friday night at LHS. The Lions won, 42-6, and improved their record to 5-0 on the season. 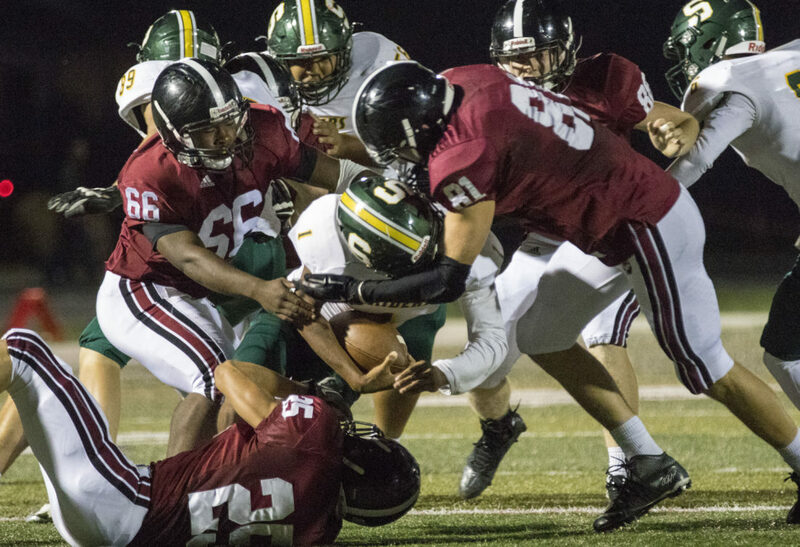 Lawrence High's Jams Murry (66), Santino Gee (25) and Price Morgan (81) work to bring down Shawnee Mission South junior Cam Union (1) during their game Friday night at LHS. The Lions won, 42-6, and improved their record to 5-0 on the season. 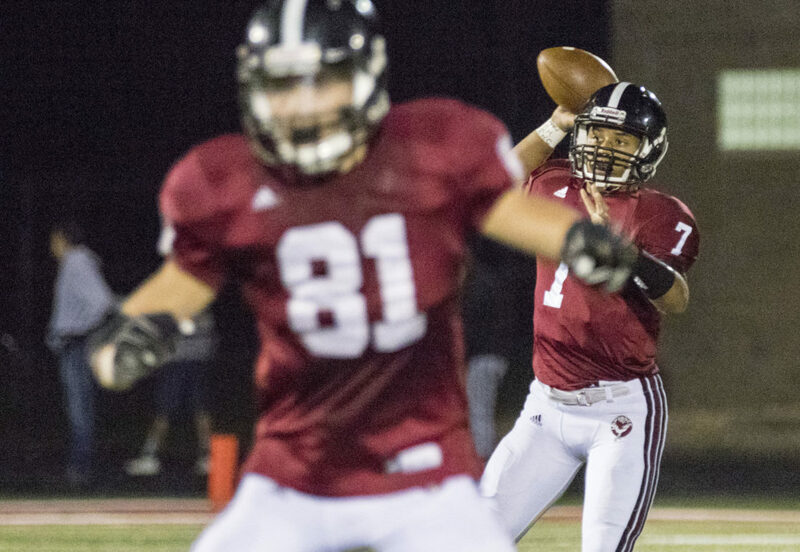 Lawrence High senior receiver Price Morgan (81) blocks as senior quarterback Alan Clothier (8) looks to throw a screen pass during their game against Shawnee Mission South Friday night at LHS. The Lions won, 42-6, and improved their record to 5-0 on the season. 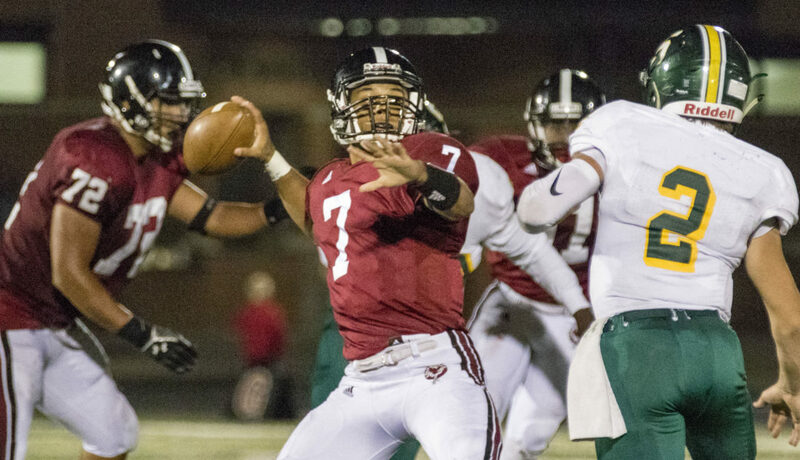 With Shawnee Mission South senior linebacker Zach McQueen (2) closing in, Lawrence High senior quarterback Alan Clothier (7) launches a pass downfield during their game Friday night at LHS. The Lions won, 42-6, and improved their record to 5-0 on the season. 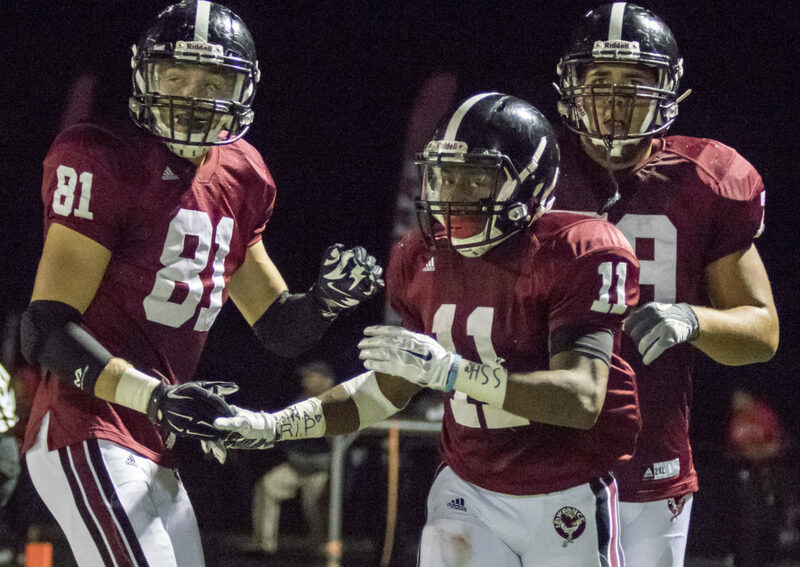 Lawrence High seniors Price Morgan (81) JD Woods (11) and Trey Georgie (79) celebrate Woods' 91 yard touchdown run during their game against Shawnee Mission South Friday night at LHS. The Lions won, 42-6, and improved their record to 5-0 on the season. 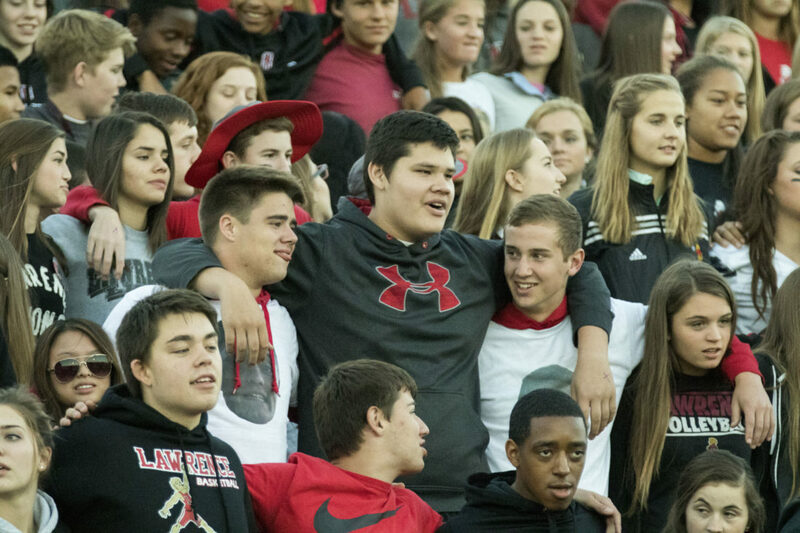 Students in the Lawrence High student section sing the school's Alma Mater before kickoff of the Lions' game against Shawnee Mission South Friday night at LHS. The Lions won, 42-6, and improved their record to 5-0 on the season. 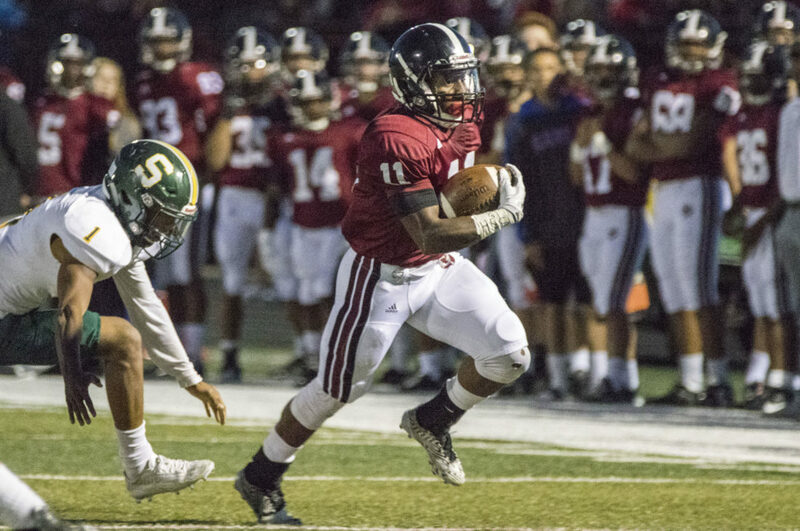 Lawrence High senior running back JD Woods is off to the races after breaking through the Shawnee Mission South defense for a 91 yard touchdown run during their game Friday night at LHS. The Lions won, 42-6, and improved their record to 5-0 on the season.